Software and application development etc. I am here to discuss two most famous sources of income Blogging and Vlogging. Blogging and vlogging are very effective strategies for brands and individuals who want to generate the maximum amount of traffic for their websites. Be it amateur blog owners, beauty gurus on YouTube, or experienced professionals in the field of social media marketing – everyone is trying their hand at promoting their businesses, or promoting themselves through the two mediums. For many well-known bloggers and vloggers, it is their primary source of income, and way of making a living. You can see for yourself how the top vloggers attract huge numbers of views and subscribers on their YouTube channels. However, how does one decide on the perfect medium to convey their thoughts and impart their knowledge? Well, first it is important to know which method of communication is right for you or your business. Blogging, in the most simplest terms, is like an online log where the author can document their experiences, share thoughts and information, and give advice. Publishing blogs has become a norm for business owners, corporates, and professionals, as they provide a great platform for engaging with potential consumers. Blogs are easy to set up, and there is no specific technical knowledge that is required to do so. If you are using blogging platforms like WordPress, Blogger, Tumblr or Pen.io, they can be activated without any monetary investment. Blogging does not require a vast array of equipment. The only things you might require are a laptop or a desktop and a working Internet connection. If you can write well, and convey your thoughts through written words – blogging can really work for you. By using techniques like affiliate marketing, or by optimizing your blogs using proper SEO, you can make a living through writing blogs. If you own a blog, and are looking to gain a loyal readership, it is vital to have a good knowledge of SEO. Learning about keywords, meta tagging, and adding an appropriate description is necessary to ensure that your blog shows up among the higher searches on search engines. Along with having good SEO knowledge, you will have to keep your blog updated on a consistent and regular basis. Once your readers start to enjoy reading your blog, they will want to come back for well-written posts. However, if your blog posts are spread far apart from each other, readers may start to lose interest in reading. Being a blog owner also means that you would have to be able to write in a captivating manner. The issues, themes and topics you write about need to be appealing and substantial for them to get the reader’s attention. Vlogging involves the same process of sharing information, experiences and giving advice, but it is done in a video format as opposed to a written one. Setting up a good vlog is not very difficult if you have the right kind of equipment. 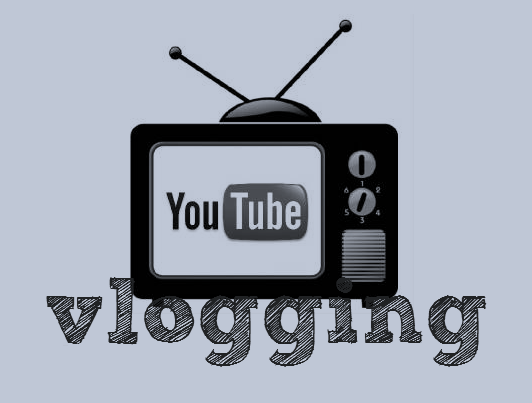 Many vloggers set up YouTube accounts, using which they can easily record, edit and publish video content online. The vlogger need not have professional writing skills, as vlogging is more inclined towards giving the audience a more conversational experience. As long as the topic or issue being discussed is interesting and engaging, vloggers and their respective vlogs can become very successful and popular. Hank and John Green of the Vlogbrothers are the kings of vlogging and their YouTube channel has over 2.3 million subscribers. 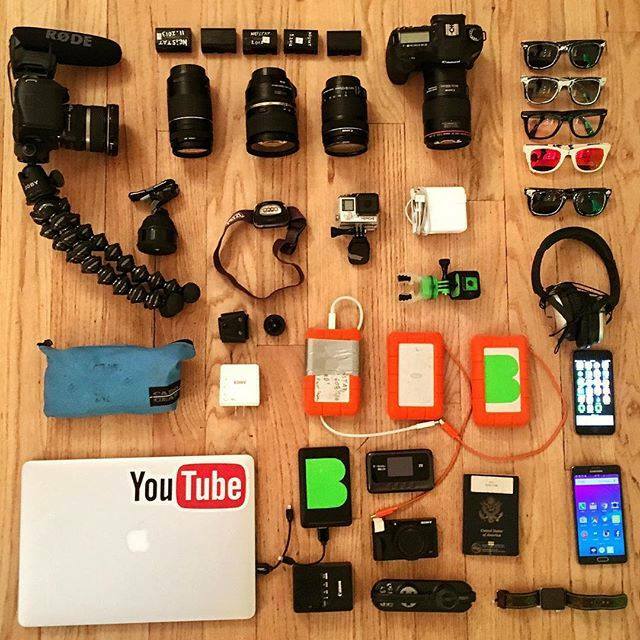 People who are contemplating about starting a vlog should know that vlogging needs a lot of equipment. To produce a high quality vlog, an advanced video camera that records in high-definition, and professional editing software is a must. All the equipment required for vlogging can cost some extra dollars, which might be a concern if you are not a pro vlogger yet. Another disadvantage of a vlog is that it does not provide a chance to edit it after publishing it online. Unlike blogs, which can be edited easily, vlogs have to be either taken down, or re-made to correct the error. Vlogs are also quite time-consuming to make. It can take anywhere from two to four hours to record, edit and publish a vlog. No tension domain and hosting investment. It is possible to earn on the very first day with YouTube. AdSense approval via YouTube is easy. Really Big audience and ready-made Visitors are waiting on YouTube. You can divert traffic to get your website and blog rank fast with YouTube Popularity. Sell others’ products as an affiliate marketer can make money for you. Teach: share your knowledge with tutorials can Repute yourself and can make money. Its damn easier to rank on youtube than ranking blog on google. Youtube can be considered as permanent earning source. Once you build few thousand subscribers then whenever you upload a new video it gets few hundred views, likes and shares. So that particular video gets boost in ranking. Include Affiliate Links in Your Content. Use it as a Content Marketing Tool for Your Business. Your Email List Is More Important Than Anything Else. Several Ways Exist in Every Funnel to Create a Roadmap. The choice lies entirely with the person who is either starting a blog or a vlog for the first time. Both modes of communication have pros and cons that need to be considered before making a decision. If you are not a great writer, and find it easier instead to speak to people – vlogs might be your forte. However, if you are a person who expresses themselves better with written words, blogs might just be the thing for you. Of course, you could run a vlog parallel to a blog. This makes it easier to attract more readers and viewers, and to get their ideas across through a medium of their choice. Nice breakdown buddy. I genuinely enjoy both channels of communication. I go much heavier on blogging yet do some vlogging as well when I add YT or FB Live videos to my blog. Finding that nice mix adds pace to my blog too; lots of words to read then I change it up sometimes with my smiling mug LOL. Thanks, Ryan! I am glad you like it.